ProCom offers a comprehensive portfolio of loudspeakers – all of which provide optimal intelligibility, even in noisy and challenging environments. All the versions of our 100V loudspeakers are designed for professional public address applications using 100V technology. No matter whether you require ceiling- or wall-mounted speakers, column speakers, weatherproof or explosionproof horn speakers or bidirectional speakers for station platforms, our range features a product that matches your requirements. 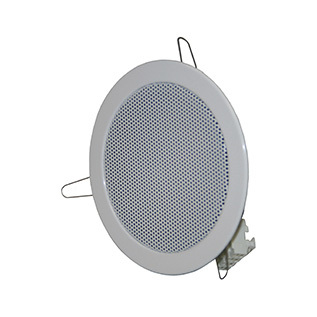 The CPR-13 is a wall- or ceiling-mounted loudspeaker in a compact, round plastic housing and is designed for indoor use. Available in 6W and 10W versions, the loudspeaker has excellent acoustic characteristics and is highly efficient. It is best suited to applications requiring perfect speech transmission, the broadcast of alarm signals and music playback. The CPR-87 is a wall- or ceiling-mounted loudspeaker in an aluminium housing and is designed for indoor use. It is available in 6W and 10W versions. 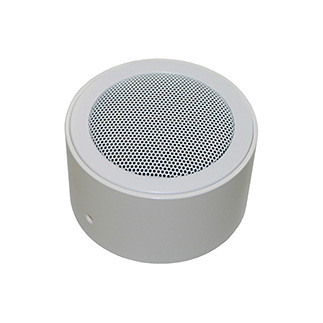 Excellent acoustic characteristics and high efficiency make this loudspeaker especially suitable for speech transmission, the broadcast of alarm signals as well as music playback. The CPR-130 loudspeaker is available in 6W and 10W versions and is suitable for installations in ceilings and walls of all types. The 130mm chassis offers a high sound pressure level and a very good transmission range. It is vandal-proof and moisture-resistant and can be installed in just a few seconds thanks to its stainless steel springs. Thanks to its supplementary flush-mounting box, the CPR-130 can also be used on solid walls and concrete ceilings. The speaker is also available with a fire dome (F version) as an option and its metal housing is heat-resistant to temperatures in excess of 1000°Celsius, thereby being EN 54-24-compliant. 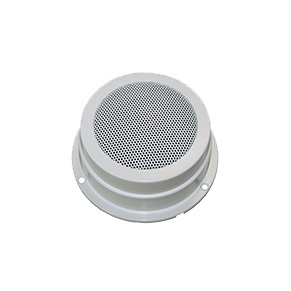 The CPR-245 loudspeaker is designed for mounting in ceilings and walls and is available in 6W and 10W versions. The chassis has a diameter of 245 mm and is vandal-proof and moisture-resistant. 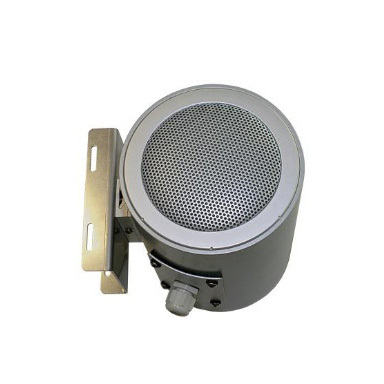 Thanks to its high sound pressure level and good transmission range, the speaker offers optimal intelligibility and is suitable for the broadcast of alarm signals. The version with a fire dome is heat-resistant to temperatures in excess of 1000°Celsius, and is EN 54-24-compliant. 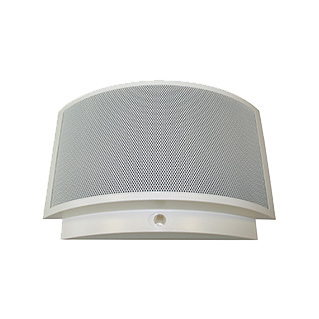 The CPR-330 is a wall- and ceiling-mounted loudspeaker with a surface-mount design. Thanks to its symmetrical shape, the attractive, gently curved housing can be mounted vertically or horizontally. The CPR-330 is available in 6W, 10W and 15W versions. 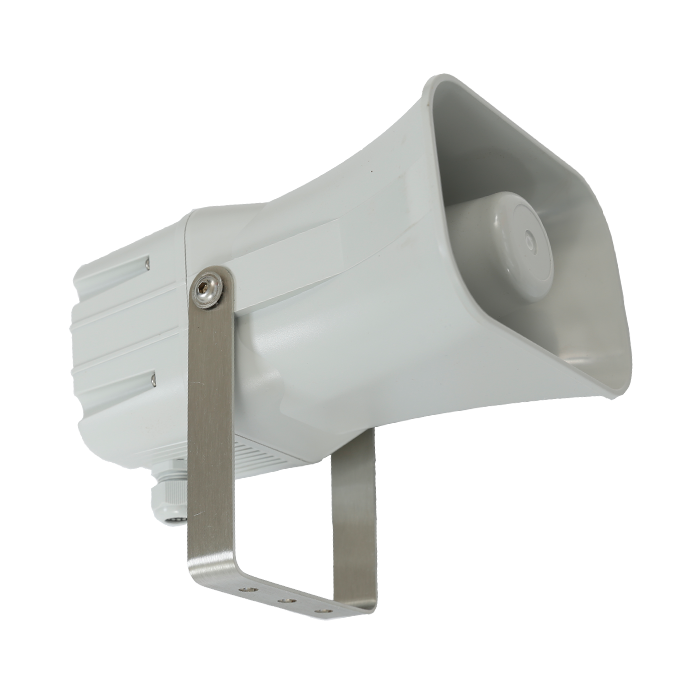 Offering optimal intelligibility, the loudspeaker is EN54-24-compliant and is thus also suitable for use in evacuation and alerting systems. The CPR 10 BRL sound projector is a bidirectional speaker with a 10W output. The aluminium housing is weather- and vandal proof and can be ceiling, wall or mast-mounted. The loudspeaker ensures a high level of intelligibility and is particularly suited to public address applications in acoustically challenging environments with varying noise levels, such as station platforms. Available in 6W, 15W, 20W, 25W and 30W versions, the CPR-SP series offers outstanding intelligibility, even in challenging environments. 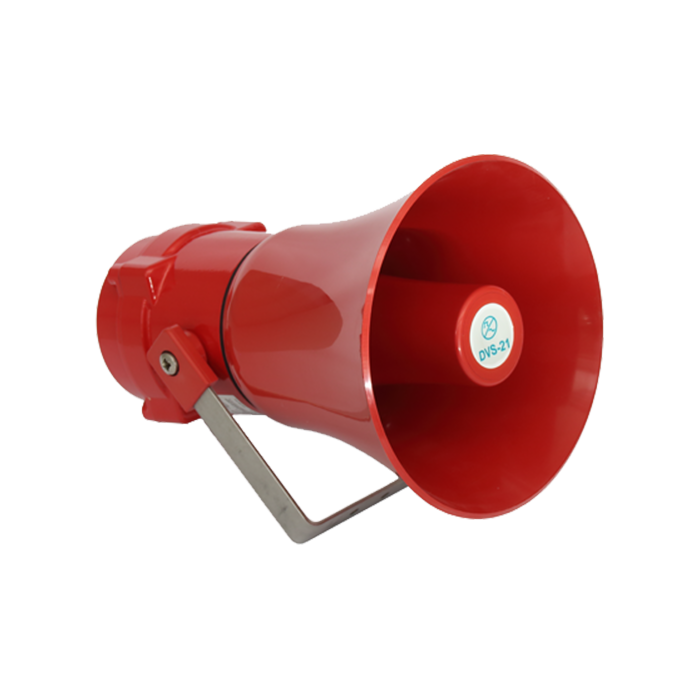 The weatherproof horn speaker is used for public address applications in production areas, factories and workshops or drilling rigs, etc. All models feature a sturdy plastic housing (self-extinguishing ABS) with V4A stainless steel brackets. A matched high-pass filter enables the speaker to be operated together with other speakers in a line. The explosionproof BExL15 and BExL25 loudspeakers are available with outputs of 15W and 25W respectively. ATEX-certified, they are particularly suited to applications in areas with potentially explosive atmospheres classified as zone 1 & zone 2. The housings are manufactured from corrosion-resistant, copper-free LM6 aluminium, while the red chrome polyester powder-coating resists moisture, salt spray as well as most acids, bases and oils.